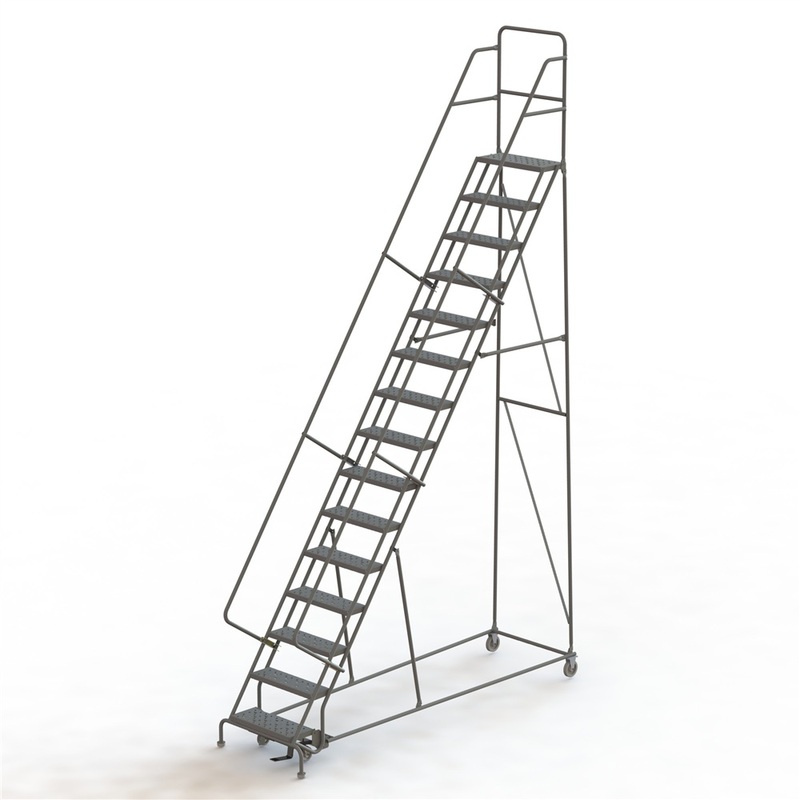 Construction - 1-1/16" Tubular steel. 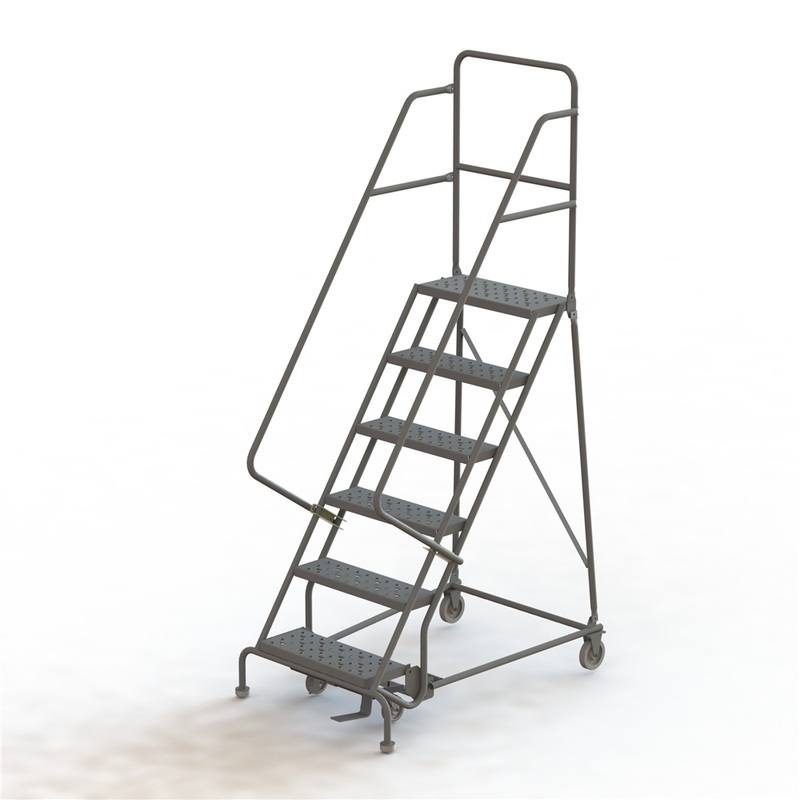 Handrails. 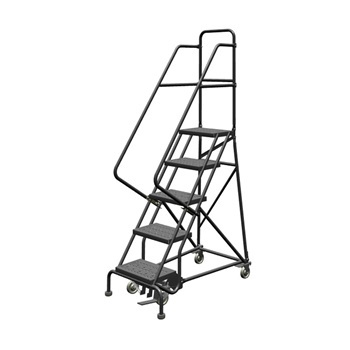 Stair stringer constructed of 1" square tube for added strength and durability. Non marking wheels. 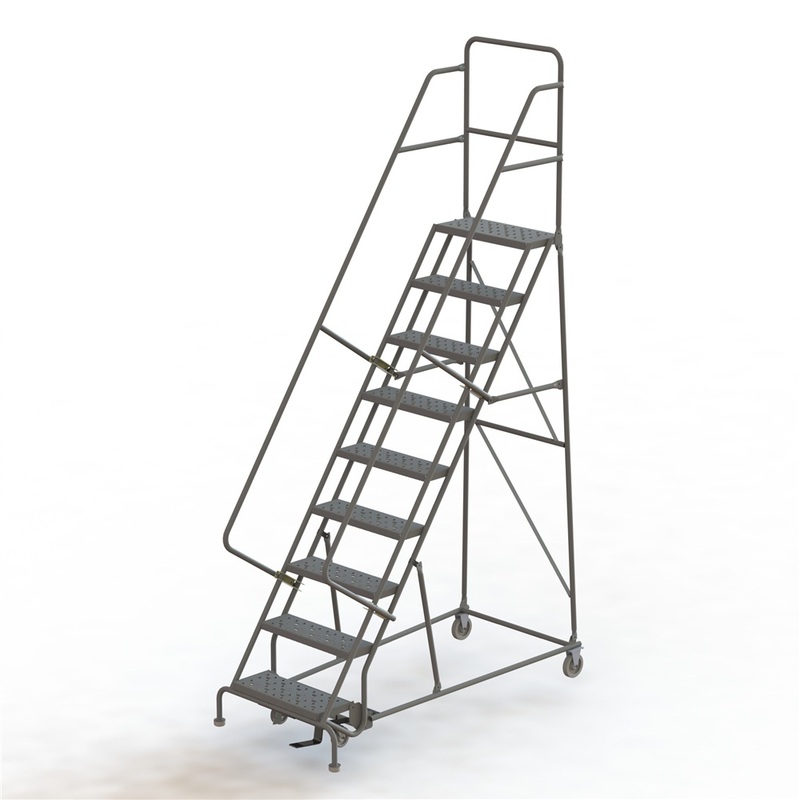 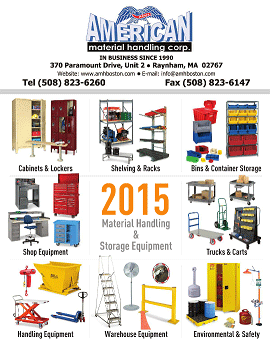 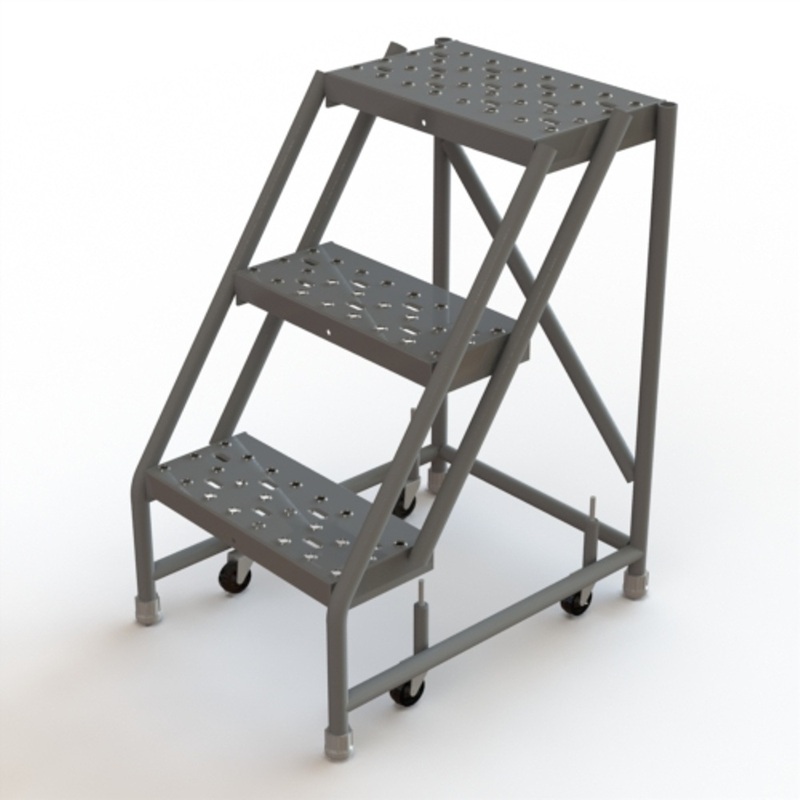 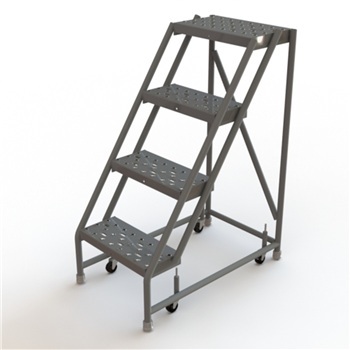 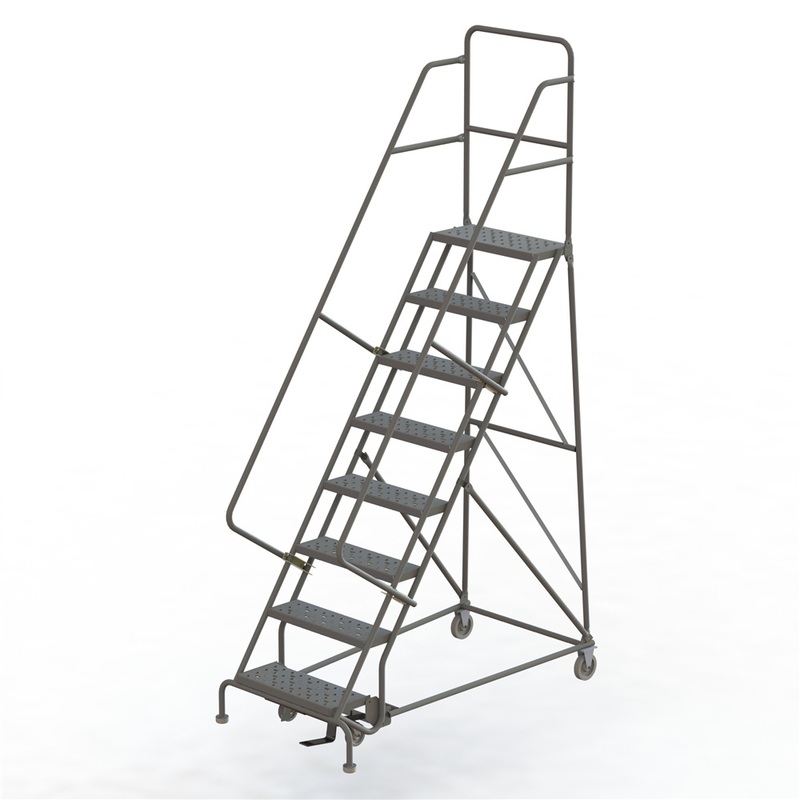 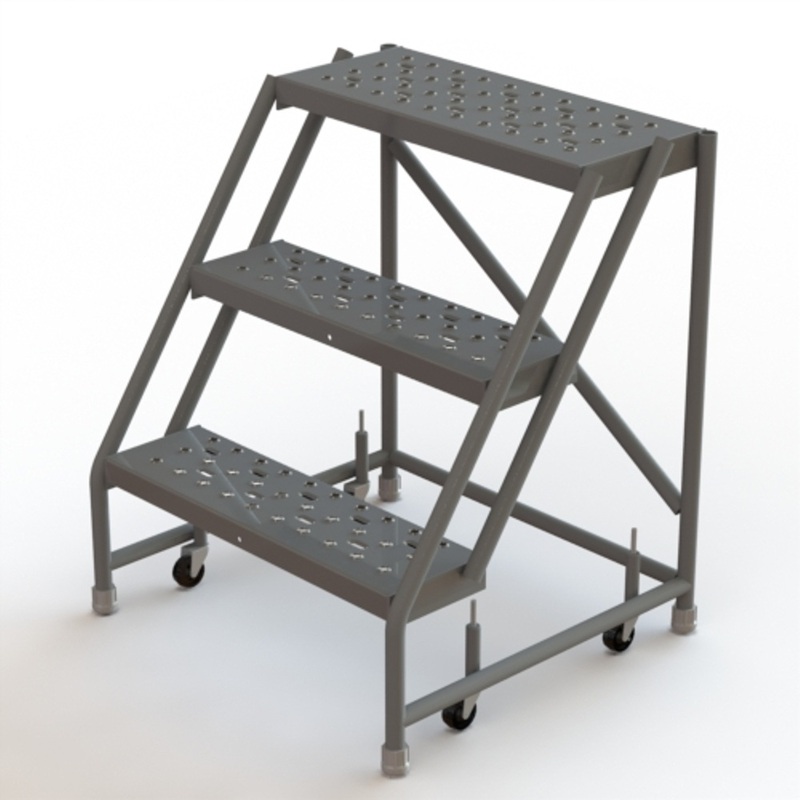 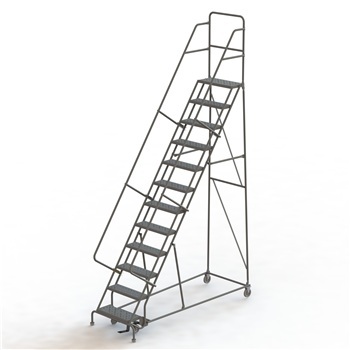 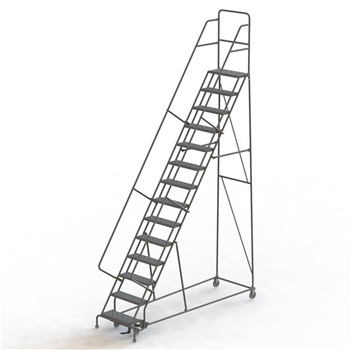 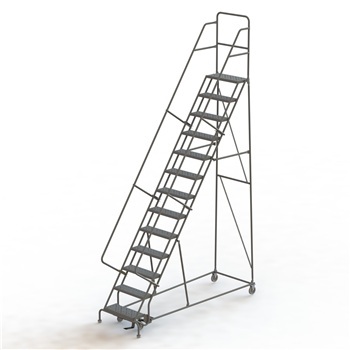 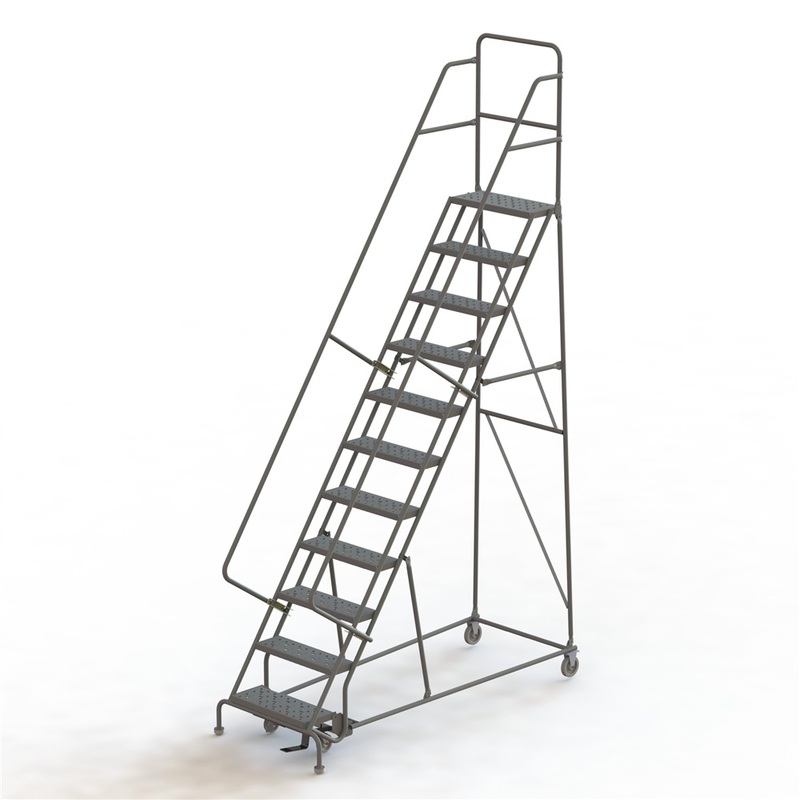 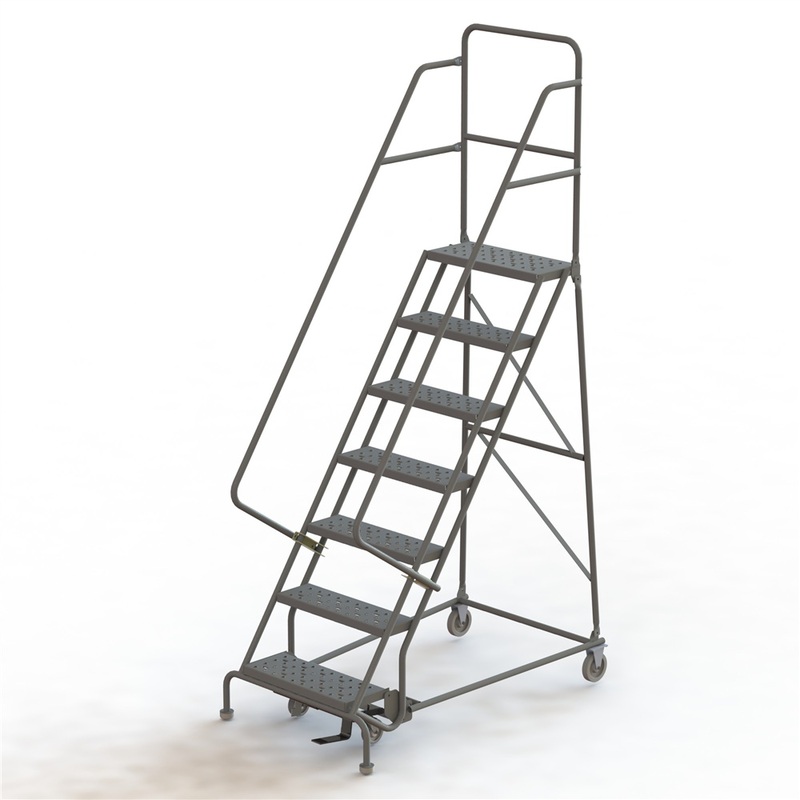 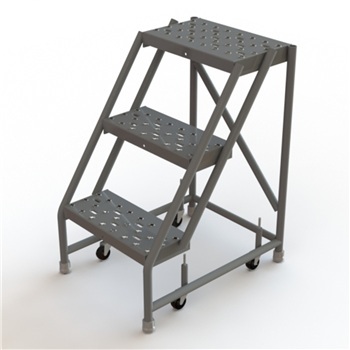 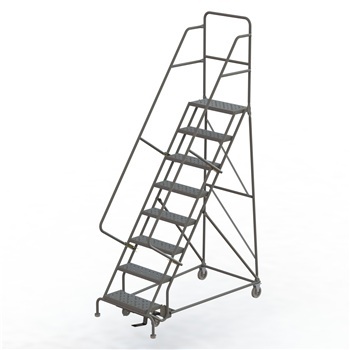 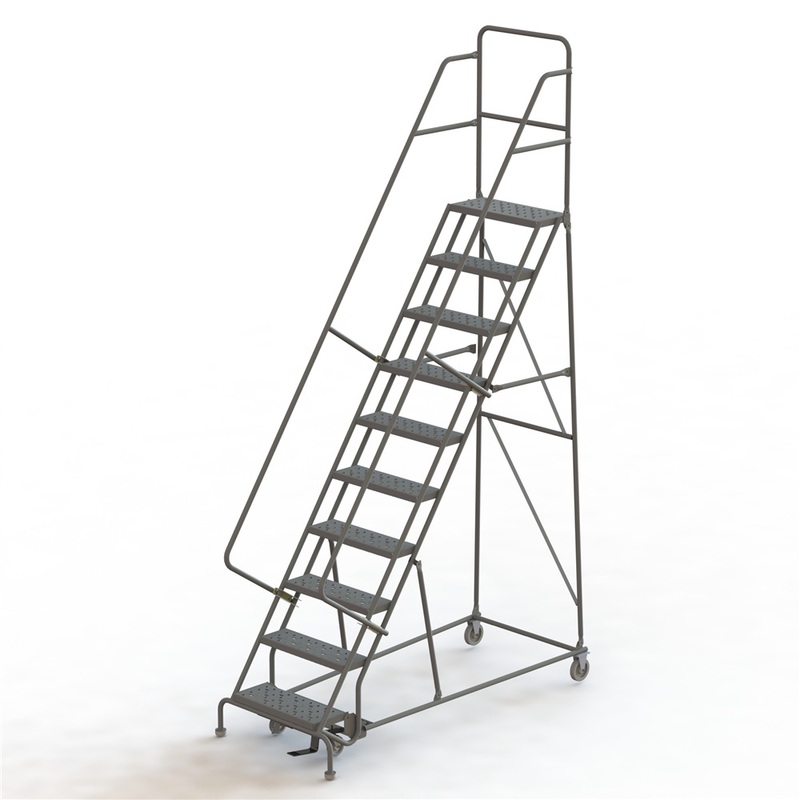 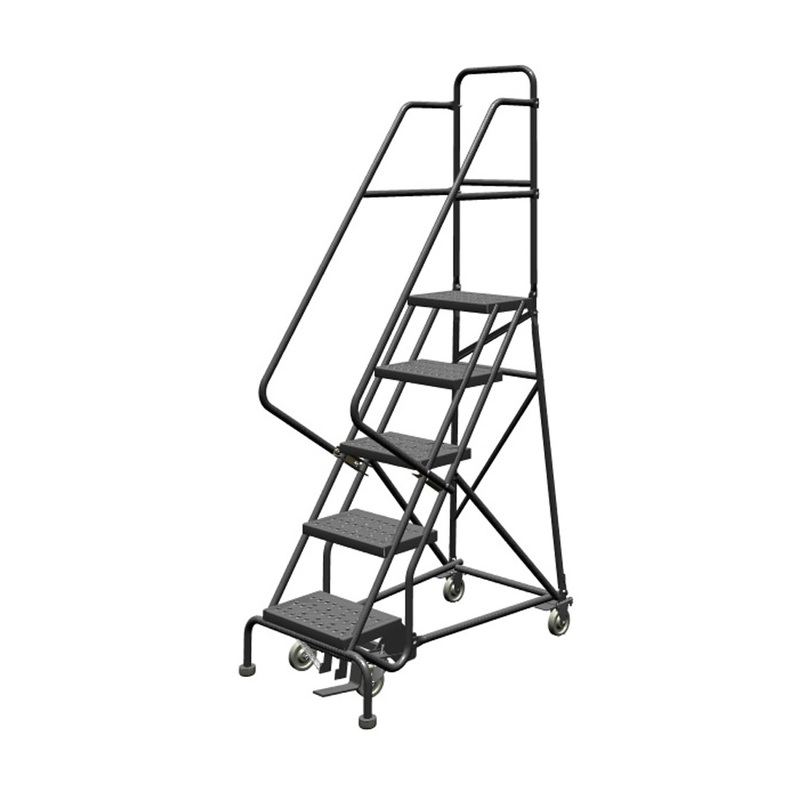 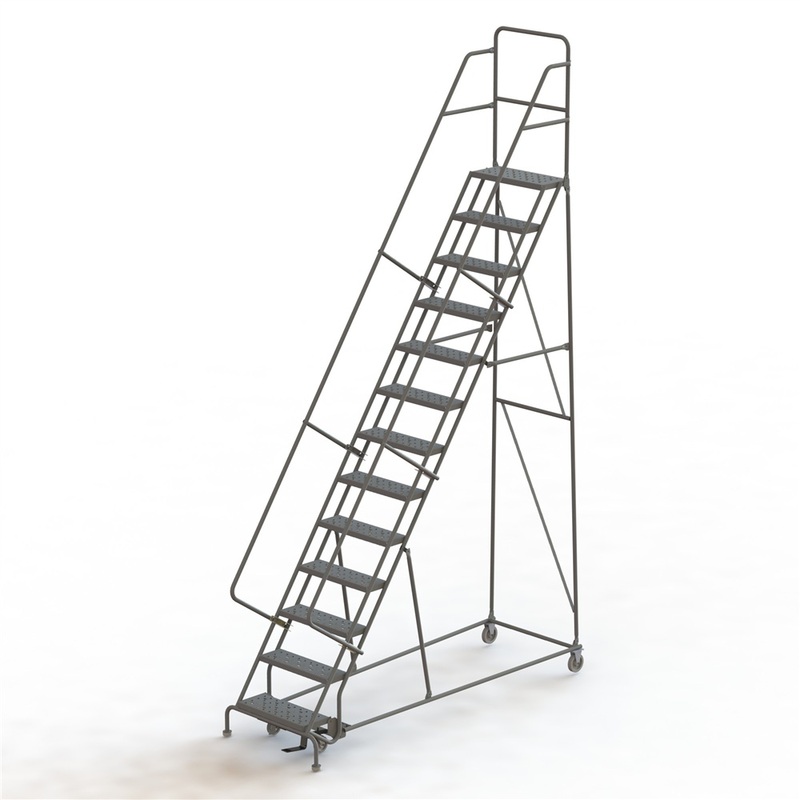 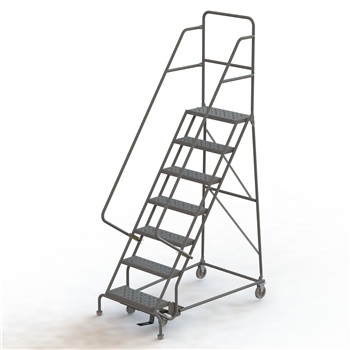 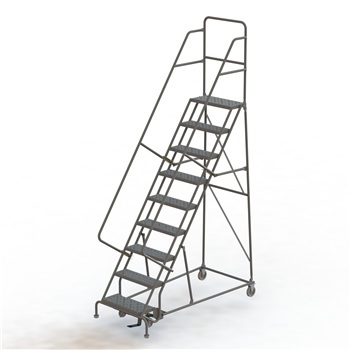 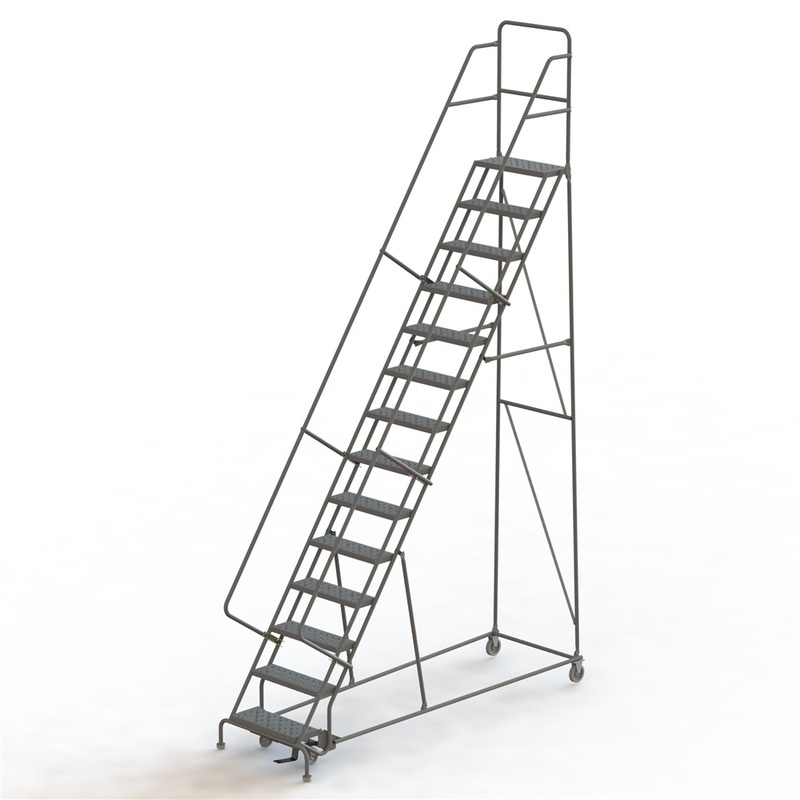 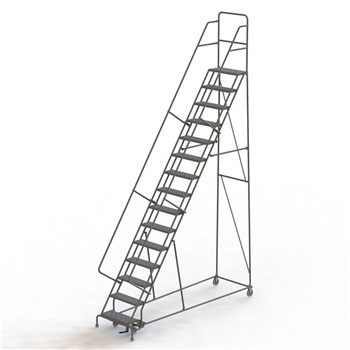 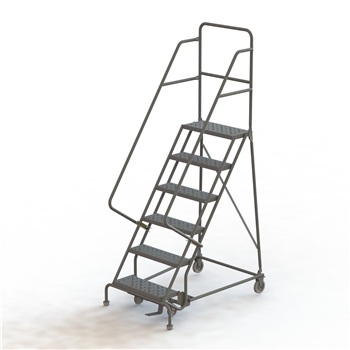 Steps - First step actuated locking system on 6 step and larger ladders. 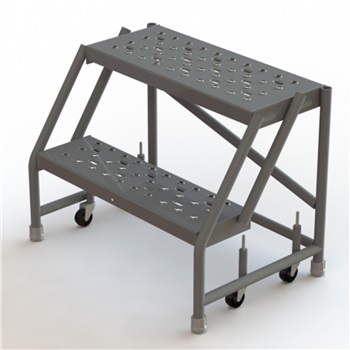 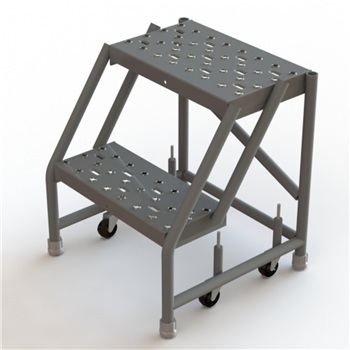 Casters - Spring loaded casters standard on 5 step and smaller ladders. 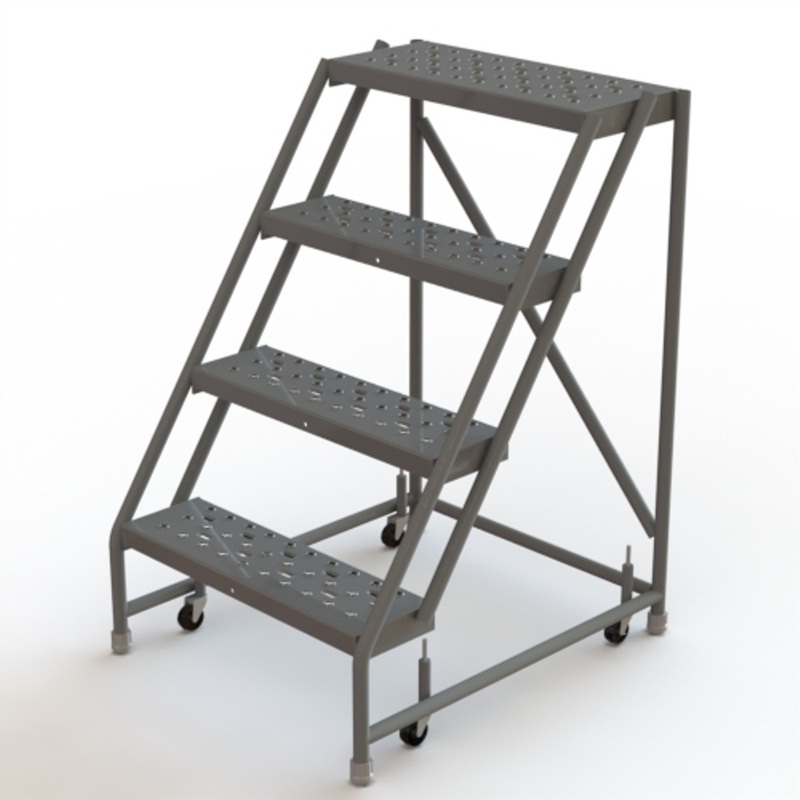 Top Step Depth - 10"
KDSR102166 2 16" 20" 19" x 20" x 52"
KDSR102246 2 24" 20" 19" x 28" x 52"
KDSR103166 3 16" 30" 27" x 20" x 62"
KDSR103246 3 24" 30" 27" x 28" x 66"
4 16" 40" 35" x 23" x 76"
KDSR104246 4 24" 40" 35" x 31" x 76"
KDSR105166 5 16" 50" 42" x 23" x 86"
KDSR105246 5 24" 50" 42" x 31" x 86"
KDSR106166 6 16" 60" 50" x 27" x 96"
KDSR106246 6 24" 60" 50" x 34" x 96"
KDSR107166 7 16" 70" 57" x 27" x 106"
KDSR107246 7 24" 70" 57" x 34" x 106"
KDSR108246 8 24" 80" 63" x 34" x 116"
KDSR109246 9 24" 90" 70" x 34" x 126"
KDSR110246 10 24" 100" 77" x 34" x 136"
KDSR111246 11 24" 110" 83" x 34" x 146"
KDSR112246 12 24" 120" 90" x 34" x 156"
130" 97" x 39" x 166"
KDSR114246 14 24" 140" 104" x 39" x 176"
150" 110" x 39" x 186"
KDSR116246 16 24" 160" 116" x 42" x 196"